You’re never too young to monkey around, and this bouncer from Bright Starts is bananas! As soon as your tiny newborn comes home from the hospital, you can surround her with playful friends from the plush comfort of her bouncer. A silly monkey spins around and around on the toy bar, which we designed with mom and dad in mind too. When you’re juggling bottles and toys and cell phones and ANYthings, you can easily remove the toy bar with just one hand. 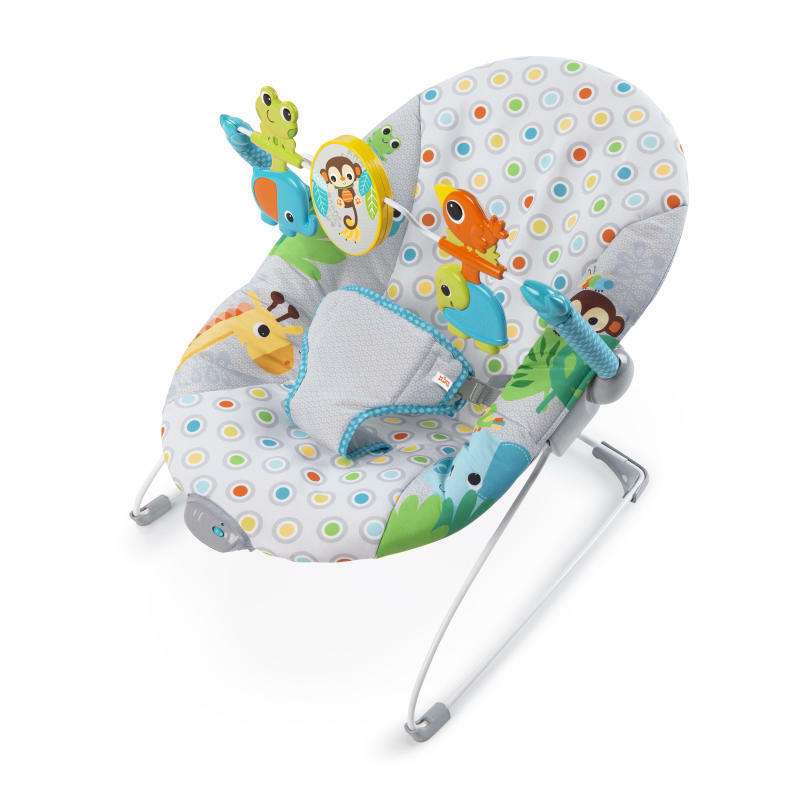 The lightweight design is easy to move from room to room, so you can juggle this whole bouncer too. Dimension (in) 19" x 21" x 16.63"
Seat pad - Machine wash with cold water, gentle cycle.Toy bar and toys – Wipe clean with a damp cloth and mild soap. Air dry. Do not immerse in water.Frame, toy bar, and toys - Wipe clean with a damp cloth and mild soap.